The Catalonia Trail is a 320 km. or 230 km. route with an 8.300 m. or 4.200 m. of total ascent. The route mainly follows gravel roads and lonely mountain passes. Catalonia Trail is going to start on the 19th of April at 8 and 10 a.m. in pavilion of Fontajau in Girona. 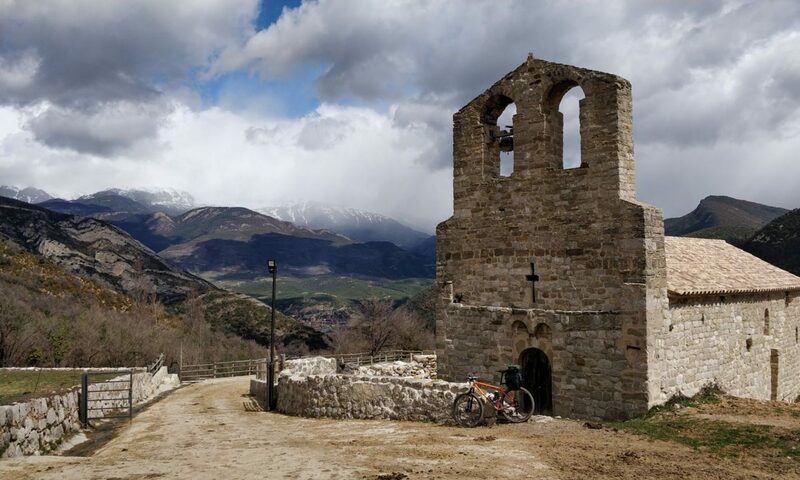 Cyclists will have four days to go from Girona to Manresa and they will principally pass through mountains and some beautiful villages like Rupit, Ripoll, Castellà de N’Hug and Berga. The organization recomends not go by bicycle at night due to the fact that there are some dangerous singletracks where can be difficult to find possible accidents and help them. In case cycling at night and alone, participants must give a tracking sistem (Garmin Livetrack or Strava Beacon) to organization and take an external batery to recharge mobil and gps. In bikepacking people can sleep where they want, as long as they respect the natural environment of the countryside. Organisers will offer a list of shelters where people who don’t want to sleep in the middle of the mountain can sleep for a reasonable price, but other locations for shelter may be available. Everyone has to make their own reservations. Be careful due to the fact that Easter is very a very important hollydays in Catalonia and lots of hotels can be full. BTT bikes is ideal for completing the long route, Gravel is also ok, but Bikers should be aware that there are a few places with steep ascents and some rocky terrain. If cyclist want to do these few places with a gravel bike, we recommend tires 40 mm. wide and chain drives of 34 X 42. Short distance route is a perfect surface by gravel bikes.